Environment Minister Catherine McKenna pounced on a Rebel Media reporter at the closing news conference of the environment ministers' meeting in Vancouver on Friday demanding his organization stop calling her a "climate Barbie." The exchange began when Rebel Media's B.C. bureau chief Christopher Wilson asked the minister what she thought the role was for hydro electricity in the province. "So you're the Rebel Media that happens to call me climate Barbie, I certainly hope that you will no longer use that hashtag," McKenna said. Wilson responded saying that he did not use that term personally, adding that he did not have editorial control over what Rebel Media decides to publish. "Me personally yes, but I don't have control over others," Wilson said. From there it descended into a bitter exchange — with Wilson accusing the minister of banning Rebel reporters from a climate conference, and the minister bringing her daughters into the picture. "The reason I am asking you not to do this is because I have two daughters," McKenna said. "There are lots of girls that want to get into politics and it is completely unacceptable that you do this." 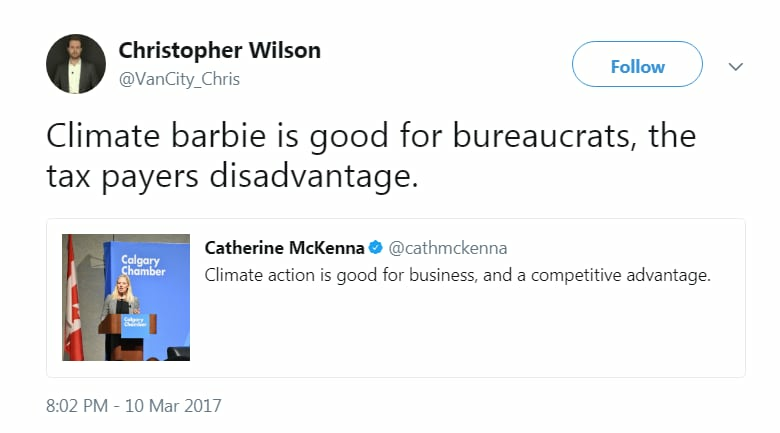 Rebel Media, and Wilson, have used the term "climate Barbie" to refer to the environment minister for some time, on the outlet's website, and on twitter. 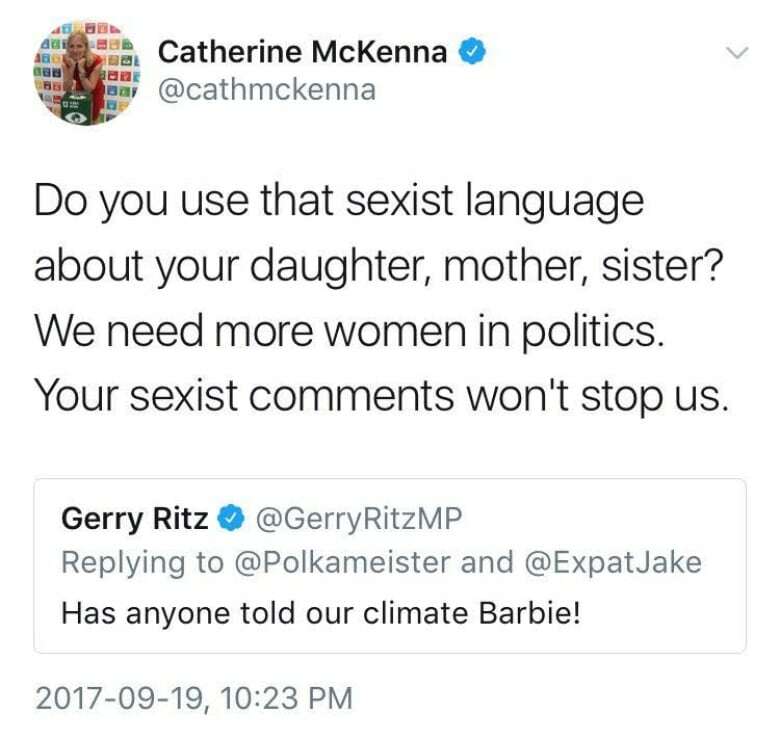 In Sept. outgoing Conservative MP Gerry Ritz was forced to apologize when he used it to refer to McKenna in a tweet. Ritz later deleted the tweet and apologized, saying the word "Barbie" is "not reflective of the role the minister plays."